Dardi DWJ3020-BB vízsugárral vágó gép - CNC gép, kábelvédő, fúrótömlő; Kutenich Kft. 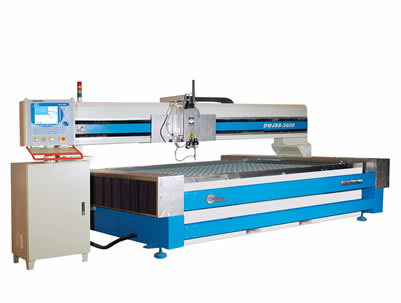 The Dardi DW3020-BB water cutter (abrasive cutter) is suitable for CNC machine processing of a wide range of materials, including glass. Below is a typical equipment configuration for a DWJ3020-BB CNC machine with a DPBS6-2230 High Pressure Pump. The machine can be ordered with various water pump models, from 22 kW (30 HP) up to 90 kW (120 HP).